Dr. S.R.K. Prasad, Managing Director, Kassoft India Pvt. 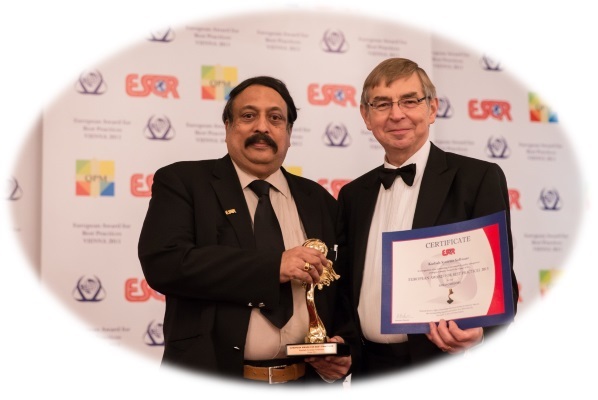 Ltd., receiving the EUROPEAN AWARD FOR BETST PRACTICES 2013 in the Gold Category for Kassoft India Pvt. Ltd. in recognition of its outstanding achievements in quality management strategies.